New uniform, shoes and haircuts, new pencil cases and backpacks – it’s back to school time! Unfortunately, for children with dyslexia the return to school after the long, unstructured days of the summer can be traumatic. Imagine how it feels for your dyslexic child – thrust into an environment where they are reminded they are different for up to eight hours a day, five days a week. It’s a fact that dyslexia can be mentally and physically exhausting. No wonder your child comes home tired and stressed in those first few weeks. Imagine if you were able to give you child some sort of answer to why he can’t seem to get stuff the way other kids can? What if you were able to tell your child, “The reason you struggle so much at school is not because you are less clever than your classmates – it’s because you have dyslexia”? There are so many reasons why it’s important to identify dyslexia in your child as early as possible. Perhaps the most important is the effect on your child’s self confidence. Feelings of frustration and failure can be extremely harmful to a child’s self esteem. Isn’t it better that your child knows there is a problem that is not their fault? It’s the summer holidays – unplug the PlayStation, grab the raincoats and jump into the wellies! Multi-sensory learning is important for the child with dyslexia – and where is more multi-sensory than the woods, the beach or the local park? Your child with dyslexia may learn more by doing and investigating rather than simply watching and hearing. This time away from the classroom is a great opportunity to share the great outdoors with your dyslexic child and participate in activities with friends, family and community. Here are 5 activities you can do with your dyslexic child over the next few weeks to encourage his curiosity, persistence, investigation and discovery. Take a picnic and make an afternoon adventure of it – and you never know, your child may even discover the joy of unplugging that PlayStation! Stop the Dyslexia Summer Slide! It’s a fact that, whatever your child’s reading level, there’s a chance their reading will regress over the summer holidays. Known as the “Summer Slide”, your child is likely to return to school in September with a lower reading age than he has now. This is particularly true of the child with dyslexia, who is likely to be a reluctant reader anyway. Dyslexia: Learning Difficulty or Learning Difference? What’s in a name? Dyslexia: Learning Difficulty – or Learning Difference? Is labelling dyslexia as a “difficulty” a good thing? Dyslexia is usually identified as a Learning Difficulty, or a Specific Learning Difficulty. A difficulty is “a thing that is hard to accomplish, deal with, or understand”. Well, it’s certainly true that reading, writing and spelling can be all of those things for the dyslexic child! Hard to accomplish, deal with and understand! But does that mean your child has a Learning Difficulty? Does your child find learning difficult? Not necessarily! Do you agree that the word “difficulty” is a negative term? A word that somehow suggests there is something “wrong” with the child? That the child with dyslexia is in some way “broken”. Perhaps his brain is wired incorrectly. Maybe he has an inability to learn because he is not intelligent enough! Is dyslexia really a “difficulty”? Should we tell a child he has a “difficulty”? Could describing dyslexia as a “difficulty” gives dyslexia a negative slant? Something to be overcome? And what if your child is told he has a “difficulty”? Does it become a self-fulfilling prophecy? Will he come to believe “I can’t do that because I have a Difficulty”? Would he expect to struggle? In addition, let’s think about those surrounding the dyslexic child. Parents, friends, relatives, teachers. Might they focus on the child’s weaknesses, rather than his strengths? But the dyslexic child may have many positive attributes. He may have better three-dimensional spatial reasoning. Perhaps he may be able to understand abstract information and see connections between concepts. It could be he is exceptionally creative. Seems like the British Dyslexia Association don’t like the term Learning Difficulty either. Although it’s a bit clunky, they are keen to call dyslexia a Specific Learning Difficulty. This is because Learning Difficulty is more of a global term which indicates an overall impairment of intelligence and function. Dyslexia is a Specific Learning Difficulty because there is a discrepancy between achievement and intellectual ability. But what if a dyslexic child is taught in the right way, the way that enables them to learn? Then is the word “difficulty” still applicable? Wouldn’t dyslexia become a learning difference, rather than a difficulty? If dyslexia was acknowledged globally as a Learning Difference rather than a Difficulty, would it help your child? Would a name change make a difference to your dyslexic child? First of all, your child may be encouraged to be the best he can. To embrace a “can do” attitude to life. After all, who wants to go through life thinking they have a “difficulty” which they need to somehow overcome? Also those surrounding your child may be reminded that a dyslexic child needs a different way to learn. Acknowledging dyslexia as a difference places the emphasis firmly on inclusion. In addition, teachers may feel encouraged to embrace difference when they plan and teach. Perhaps it would help teachers to remember to think about the needs of their dyslexic learners more and differentiate their lessons to accommodate their needs. It might remind teachers to embrace multi-sensory teaching methods. Multi-sensory teaching helps all the children learn. Finally, school authorities may feel more responsibility to support difference through school policy, practice and ethos. But do children really want to be different? Does Learning Difference describe dyslexia better? Would difference be a great ethos to celebrate? There’s no doubt the children are switching off at school and the teachers winding down. Now’s the time for playing games with my students – but I’m not ready to abandon their learning completely. That’s why I have pulled out some fun games from my resource cupboard that are also educational. This week I’ve been targeting short term memory issues. 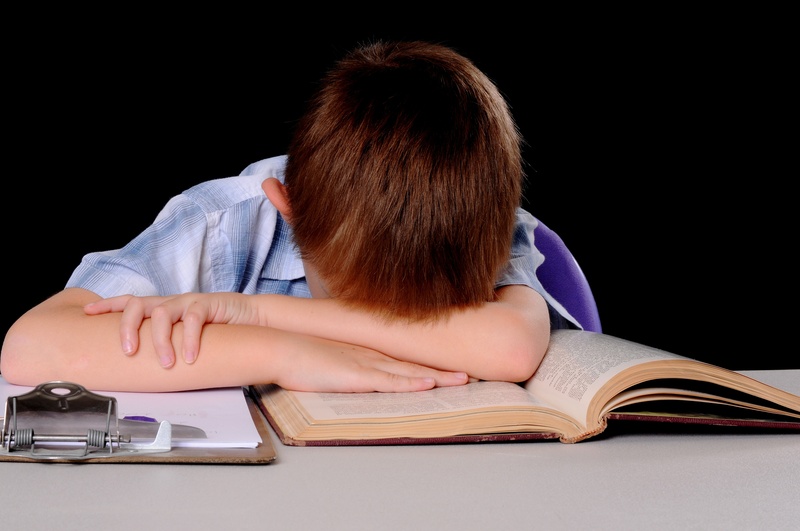 A lot of children with dyslexia have short-term memory difficulties. A poor short-term memory can result in poor organisational skills. Short-term memory difficulties can also be an underlying cause of poor reading and spelling. Any game that targets memory is going to be beneficial to a child who has a poor short-term memory. Here’s my top 4 Games to Improve Your Dyslexic Child’s Short-Term Memory – and still have fun! The Wooden Memory Game (I know, not the catchiest of names!) involves trying to remember the location of different coloured pegs on a wooden board. It can be played with 2 -4 players and it’s suitable for any age. It’s a deceptively simple game – but effective. Well-made, simple to play and good fun! Get the Wooden Memory Game here! A variation on a classic memory game, it involves finding matching pairs of children from around the world. Beautiful colours printed on good quality board – although some of the pictures are a bit stereotypical! EeBoo also have other versions of this game which your child may like – the Life on Earth game from the same company is on my Wish List! Get I Never Forget a Face here! This is a game more suitable for the under 7’s – it could be good to pop in the car on a long journey as there are no small pieces to get lost. The idea is to flip the wooden windows to locate matching pairs of objects. The game can be varied by slotting in different cards with different themes. Another beautifully made wooden game! Get Flip to Win Travel Game here! The hit of the summer! This beautifully-crafted wooden game seems to appeal to girls, boys, 5 year olds as well as 14 year olds. It’s a bit more expensive than the others but well worth the money. Throw the dice and then find which penguin is hiding eggs that match the colours on the dice. Lots of fun! You are either looking forward to having your children home for the next 6 weeks, or you’re dreading it (or a mixture of the two)! If you are looking for something to keep your children occupied on a rainy day (with the added bonus of improving short-term memory skills), these games could be for you! Have you found a good game to help short-term memory? Children with dyslexia often get confused with homophones. Homophones are words which sound the same but have different meanings and different spellings. Like ‘which’ and ‘witch’. These commonly confused homophones are tricky! And sometimes dyslexic children have long-established spelling errors. You may find your child’s inaccurate spelling has become an established pattern in his writing. I’m going to show you how to get your dyslexic child to spell “which” and “witch” like a pro. The Royal Cheshire County Show has ended for another year. Amongst the competitors in the Show Ring was one of my students, Jack (not his real name). Jack is a farmer’s son. Last week he confidently and competently showed his prize-winning calves at the County Show in the under 16 years old class. Not so long ago, he watched his calves being born (and can show you the video)! And he has helped his father raise them. I know he will be proud to show off his rosettes when he comes for his dyslexia lesson this week. In the classroom, it’s a different story for Jack. He is averagely intelligent but has very slow processing speed, making his reading slow and laborious and his spelling weak. Jack is never going to find school easy. But whilst he may struggle academically, he has found something he loves. He has found his “thing”. Most children with dyslexia are not confident in the classroom. When children reach their teens, especially, they may become overly aware that their academic abilities are poor compared to their friends. This can lead to low self-esteem and a sense of pessimism about school and their future. At worse, the dyslexic child can suffer from depression or behavioural issues. But this does not have to be the case. I’ve often noticed that a dyslexic child who has an interest, or is good at something, is better equipped to cope with school and has better long term prospects. Help your child develop an area of expertise. Help them find their “thing”. It could be anything. And it will probably change as your child grows up. It doesn’t have to be something academic. It doesn’t have to be something that will directly help them in later life. It doesn’t have to be something that will lead to a career. Just something your dyslexic child is interested in or is good at. My own students have a wealth of interests: sailing, reptiles, cricket, piano, swimming, Lego, ballet and Star Wars. Whatever it may be, encourage your child to become an expert. Why will developing an interest or hobby help your child with dyslexia? Fitting in to the group or looking good in front of friends is important to a child. Being an expert can provide opportunities for your dyslexic child to shine in front of his or her peers. Your dyslexic may meet other children who share a common interest, in an environment where their dyslexia is totally irrelevant. Meeting another kid at Games Workshop or the Swimming Club every Saturday morning is one way long-lasting friendships begin. The knowledge that he or she may not be much good at English Literature but is an expert in sheep husbandry or is an amazing Cheer Leader may make all the difference to your child’s confidence. Being good at something will do wonders for your dyslexic child’s self esteem. Every child should have a chance to succeed in life. Encourage your child with dyslexia to become an expert. Encourage your child to find their “thing”. Feelings of anxiety, depression and low self-esteem are common amongst children who suffer from dyslexia. Psychologists presented research into the social and emotional impact of dyslexia at a Specific Learning Differences conference in Singapore yesterday. Reading about the social and emotional impact of dyslexia made me think about my own dyslexic students that I teach. I thought about the 13 year old boy who immediately transforms into “clown” mode when asked to write anything down on paper. I thought about the 12 year old girl who tells me she hates the withdrawn, sulky face she presents to the world and would like to be someone else. I thought about the 7 year old boy who is often angry, frustrated and disruptive in class because he “just doesn’t get it”. It’s no wonder that these children have low self-esteem and anxiety issues. Dyslexic children have to work so much harder in the classroom than other children. Often the struggle for the dyslexic child is overwhelming; they either lose concentration and lapse into misbehaviour – or simply give up. Richard Branson left school at 15; his headmaster told him he “would either end up in prison or become a millionaire”. Success at school is very important to a child’s feelings of self-worth. A child’s self-esteem is intrinsically linked to how well he is doing at school, compared to his peers. If everybody else is “getting it”, if everybody else is able to read, if everyone else can spell better, the dyslexic child can develop a very poor opinion of his own abilities and self-worth. And negative feelings can grow as the child gets older. By the time the dyslexic student reaches university, Bob Burden argues that dyslexics may be more in need of counselling than specific teaching interventions (https://senmagazine.co.uk/articles/899-what-are-the-emotional-consequences-of-dyslexia.html). Dyslexic children benefit enormously from loving support and encouragement from parents and teachers. You don’t necessarily have to produce an answer to your child’s problems. Just listening to what your child has to say and acknowledging his fears and feelings can help him. Let him know that he is not alone. Improve your dyslexic child’s writing accuracy with this 3-step proofreading tip. How often have you said that to your child as he hastily shovels his homework books back into his school bag and heads out of the door? But how does he know how to check his work? Has anyone ever taught him what to do? All of this can place tremendous strain on the memory skills of the dyslexic child. Many children with dyslexia suffer from poor short and long term memory. Even if he has typed his work on to a computer, Spell Check won’t pick up every mistake. Proofreading is a great skill to teach your dyslexic child. Knowing how to check his work is a skill that will valuable throughout his life. Teach it at an early stage, as soon as your child begins to write and it will become a habit. Here’s a quick and easy 3-step check to help your child check his work. Cut the work up into chunks and ask your child to check only a small part at a time. 1 Have you got all the words you need? 2 Have you got all the punctuation you need? 3 Is your spelling as good as you can make it? Get your child to actually point to each word with his finger or a pen and say that word out loud. When reading back their own work, children with dyslexia often only see what they think they have written and not what is actually on the page. Listening to the sound of his own voice as he reads will help him spot if any words have been left out and that the meaning of the sentence is clear. Smaller children may simply be checking that they have a capital letter at the beginning of the sentence and a full stop or a question mark at the end of a sentence. For older children, it may be they will be checking for more advanced punctuation, such as commas, speech marks etc. This is a tricky one! A child with dyslexia may never be the best speller in the world! But sometimes, when checking their work they are able to identify spelling mistakes. Try getting your child to write problem words out several different ways to see which version “looks right”. This will help to improve his visual memory, so that he feels more confident in correcting his spelling. Dyslexic children often have particular “sticky” words that always give them problems. Of course, this is different for every child. Your child may regularly spell the word “does” or “was” wrong. Draw your child’s attention to the fact that this is one of his “tricky” words and so always worth checking. Ask him to focus on words that he knows give him problems. Print the 3-step check out and put it up on the fridge door as a reminder. You’ll be surprised how soon the 3-step check becomes a good habit! Does your child have difficulty with proofreading? Have you found any tips that have helped?